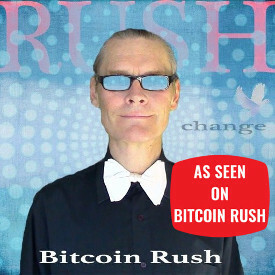 Special Offer For Fans Of Bitcoin Rush! Now Accepting Bitcoin OKcash BATA Doge CoExistCoin and many others! For .5 BTC you will recieve a three page website, 1 email address, and 1 year hosting. Use your graphics or my clipart. You supply company logo and domain. 1 year domain registration can be added for .035 BTC. Click here for basic sample site. For just .025 BTC The Dood will create the perfect banner ad for your business or website. Use your company logo and artwork or The Doods clipart for the perfect banner ad. Most sizes ranging from 250x 250 up to 720 x 300. Tell me the size you need and The Dood will abide! Click here for my current banner ad portfolio.